BEIJING. 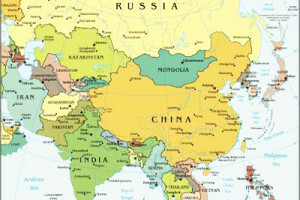 May 15 (Interfax) – China plans to double its trade with Russia to $200 billion by 2020, Deputy Director of the Chinese Ministry of Commerce’s Central Asia and Eastern Europe Department Liu Xuesun told Russian reporters in Beijing. “The trade turnover between China and Russia is due to reach $100 billion this year, which is quite an achievement,” Liu said. The sides “should do more to achieve a new target, $200 billion,” he said. He called for optimizing the structure of Russia-China trade. “The structure of bilateral trade is continuing to undergo optimization. Bilateral trade in machines and technical products grew 20% last year to $22.8 billion. Trade in products made with the use of new and high technologies totaled $8 billion,” Liu said. He said he is confident that Russia and China will increase trade in high-tech products. “China and Russia will be working together to expand trade in machines, technical products, and agricultural produce,” Liu said. He underlined China’s interest in cooperating with Russia in the Arctic, including the Northern Sea Route. Transport agencies of Russia and China are preparing to sign a memorandum on cooperation in the exploration of the Arctic, Liu said.